This issue of vintage Sphere came at the right time for the upcoming Super Bowl 50 on Sunday. In an article about food for game nights, this “Hodge Podge Cocktail Snack” will make your guests cheer. 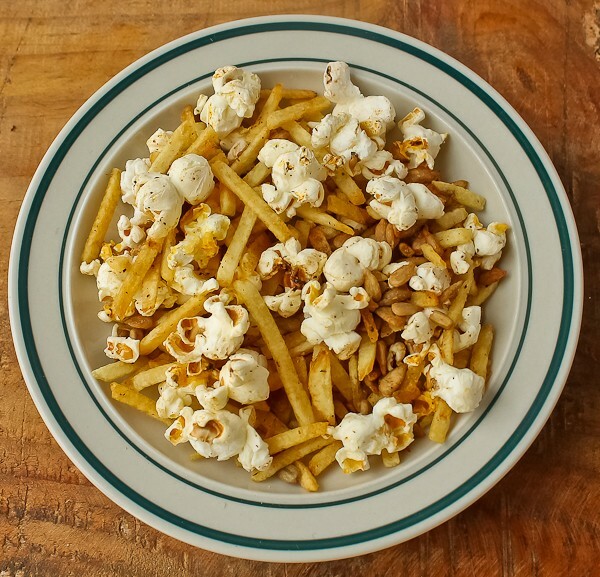 It’s an easy crunchy snack featuring popcorn and shoestring potatoes. Several herbs are mixed with melted butter and poured over popcorn, shoestring potatoes, and sunflower seeds then baked until crunchy. Serve it in a big bowl in front of the TV for Super Bowl. 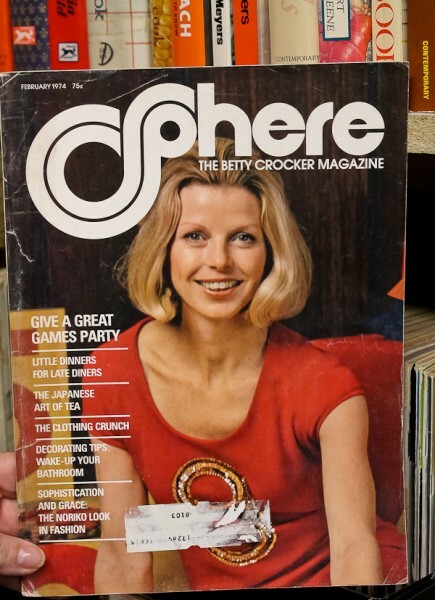 I looked up some trivia about the Super Bowl in the year of this Sphere magazine, which was Super Bowl VIII. It took place on January 13, 1974 in Houston. Charley Pride sang the national anthem. It was the only Super Bowl in which the game ball had stripes. Joe Namath was featured in his famous Noxema face cream commercial. It was the first Super Bowl that had an African-American referee. Larry Csonka was voted MVP. And as of December 1, 2015, this is the earliest Super Bowl in which both head coaches are still living. There’s some trivia to munch on. In other articles of this issue, Japanese food must have been popular in 1974 as there was an extensive article on Chanoyu- the Japanese Art of Tea, Exotic Japanese Soups, and beautiful patterns available from Japanese clothing designer Noriko. Other food pages included One Dish Meals from Around the World, ideas for vegetables, a Rum Cream Trifle, ideas for leftover meats, a special Danish hash, and numerous crochet ideas. I hope your favorite team wins and that you enjoy it with the Hodge Podge Snack! Mix melted butter with all seasonings. 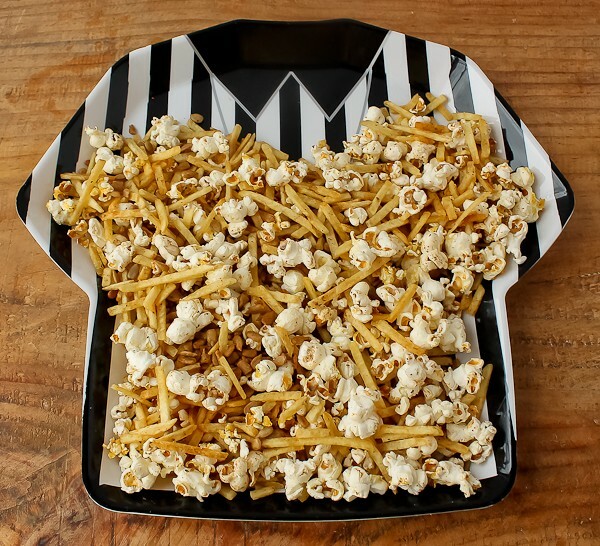 Place popped corn, shoestring potatoes, and sunflowers seeds on a jelly roll pan or roasting pan and drizzle on the butter mixture. Toss well to combine, then spread out into one layer. Bake for 10 minutes, stirring once after 5 minutes. Let cool and serve. Makes about 12 cups. Note: I could only find a 9-ounce can of shoestring potatoes, so I used half the can. For the popcorn, ⅓ cup of unpopped corn will yield about the amount needed for the recipe. Now that’s a magazine I have never seen before no less not on my bookshelves! Very cool!!! Louise, Sphere is my all-time favorite magazine although it can be difficult to find all the issues; it took me years of searching plus my generous readers. Search eBay, Amazon, used book stores, antique stores, etc. It’s worth it if you love to cook!